HAMMOND – Southeastern Louisiana University will retire distinguished alumna Robin Roberts’ Lady Lions basketball jersey during pre-game ceremonies on Feb. 5 in conjunction with the university’s 2010-11 Women’s Basketball Alumni Day. Anchorwoman for ABC-TV’s “Good Morning America,” Roberts will see her number 21 jersey unveiled during a special ceremony prior to the Lady Lions’ 3 p.m. contest versus Southland Conference rival Sam Houston State. At halftime, Southeastern will honor her and all other returning Lady Lion alumni. Roberts starred for the Lady Lions from 1979-83. She currently ranks among the program’s career leaders in points (1,446, 6th), rebounds (1,034, 5th), games played (114, 4th), field goals made (507, 5th), free throws made (432, 4th) and free throw percentage (72.0, 10th). In 2006, she was named one of the NCAA's "100 Most Influential Student-athletes" in conjunction with the NCAA Centennial Celebration. A 1983 graduate of Southeastern and a member of the university’s Athletics Hall of Fame, Roberts has worked in broadcasting for more than 20 years and became co-anchor of “Good Morning America” in 2005. During her tenure with GMA, the program has won three consecutive Emmy Awards for Outstanding Morning program. Roberts began her broadcasting career while at Southeastern, working at WHMD/WFPR Radio in Hammond where she was sports director. She also served as a special assignment sports reporter in 1982 for KSLU-FM, the university’s public radio station. Later she held various broadcasting jobs in Atlanta, Nashville – where she won the “Nashville Scene” Sportscaster of the Year Award – Biloxi and Hattiesburg, Miss. 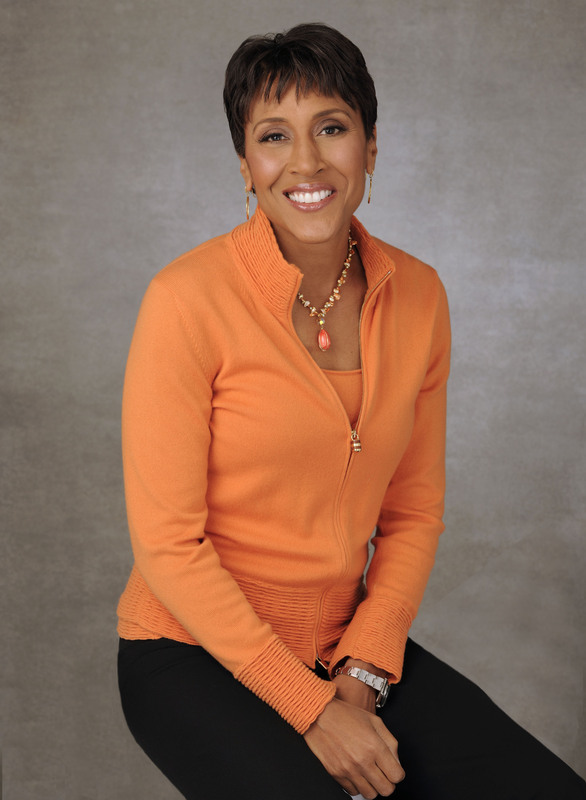 From 1990 to 2005, Roberts was a contributor to ESPN, where her assignments included hosting "SportsCenter" and contributing to "NFL PrimeTime." At GMA, she has done extensive field reporting in the Middle East, Africa, and Mexico. Roberts played an active role in ABC News' coverage of the 2008 presidential race, interviewing candidates and a wide-range of political newsmakers and reporting live from Washington, D.C. on Inauguration Day. She was the first journalist to interview President Obama after he was sworn in as President. Roberts was diagnosed with breast cancer in June 2007. Her public battle has been recognized with awards and honors from organizations around the country, including the Susan G. Komen Foundation; the Congressional Families Cancer Prevention Program; and Gilda's Club, a non-profit organization founded by the late Joel Siegel. In 2005, Roberts found her personal and professional lives collide when Hurricane Katrina devastated the city of New Orleans and the Mississippi Gulf Coast – a part of the country she called home for most of her life. Following the storm, she traveled to the hurricane zone and reported on the devastation. She also launched "GMA Gets It Done," a year-long effort to rebuild Roberts' hometown of Pass Christian, Miss. For more information on the Southeastern Women’s Basketball Alumni Day or getting tickets to the game, contact Southeastern Athletics at (985) 549-2395 or visit www.LionSports.net.